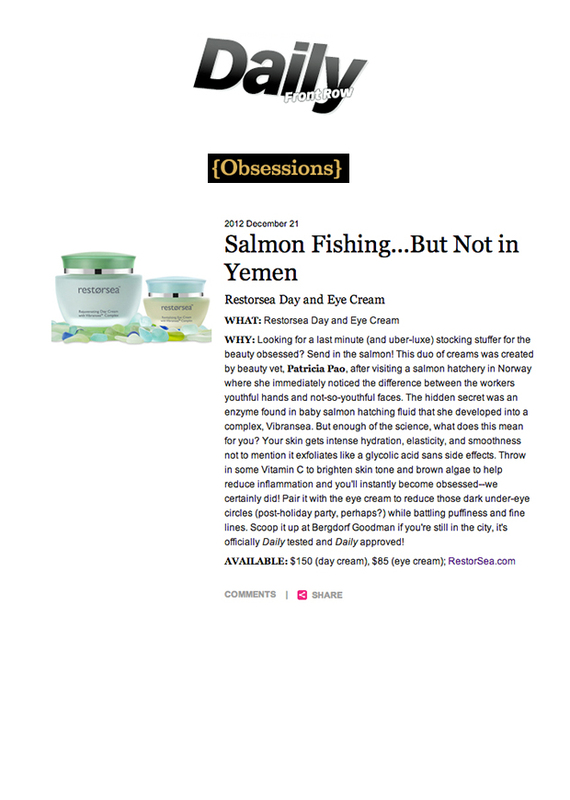 Thank you to the Daily Front Row for also recommending Restorsea Rejuvenating Day Cream and Restorsea Revitalizing Eye Cream as a stocking stuffer! We are grateful to be "officially Daily tested and Daily approved". Yes, the holidays are over, but Daily Front Row makes a point-- the Eye Cream can come in very handy for "post-holiday party".